Soylent explains the trendy not-quite-square/not-quite-round bottle shape. Ever wondered why the plastic bottles that hold your favorite beverages are shaped the way they are? A new investigation from Fast Company tries to get to the bottom of the puzzling design choice. Turns out, it’s actually more efficient and easier to produce, and even cuts down on the size of shipping containers. 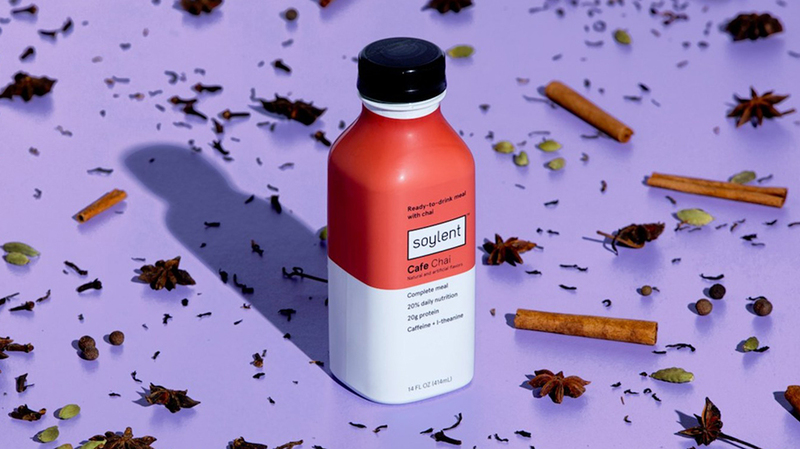 Nicknamed “sqround,” in the story, a combination of both square and round adopted by companies like Fiji, Odwalla, and now Soylent. The meal replacement company started off with a bottle that used a circular base, but when the bottles ended up “dinged” in transit to customers, the company decided to redesign the bottle so that it used a square bottom. The original design was meant to play up the brand's “neutral aesthetic,” but ultimately they decided to switch to the already popular “soft square” bottom. The Soylent design team intended for the new bottle to be reminiscent of milk bottles delivered to your doorstep in the sixties and seventies. Zelek also pointed to the fact that those soft, or rounded edges, on beverage bottle serve a purpose in the factory where they are manufactured: Sharped-edged bottles can “lock up along each other” on conveyor belts, causing the whole line to shut down. The rounded edges on the bottles are simply more efficient to produce. That’s why you so often see beverage companies using this design, even though Soylent only recently switched to the ‘sqround’ shape. So yes, there is actually a method behind all that plastic bottle madness. No mad-genius designers here, the bottles are simply better for the environment with the added benefit of an eye-catching design. Perhaps now is a good time to brush up on why aluminum cans are round.